Former TT racer and TV star, Guy Martin has made good on his promise to return to the Cookstown 100 yesteryear Classic races after withdrawing in 2018. He is entered to compete in the 2019 event onboard his home-built BSA Rocket 3, which had gearbox problems after testing last year. The 2018 Cookstown 100 would have been his first appearance on the roads since pulling out of the 2017 Isle of Man TT. After a tough 2017 season with Honda Racing, Martin revealed he would focus on classic racing moving forwards and entered a number of Irish road races on his BSA Rocket 3. The Cookstown 100 is the traditional opening to the Irish road racing season and will take place on April 26-27. Martin is no stranger to the event, beating Michael Dunlop to both superbike race victories back in 2015, but other projects have taken precedent over racing in previous years. 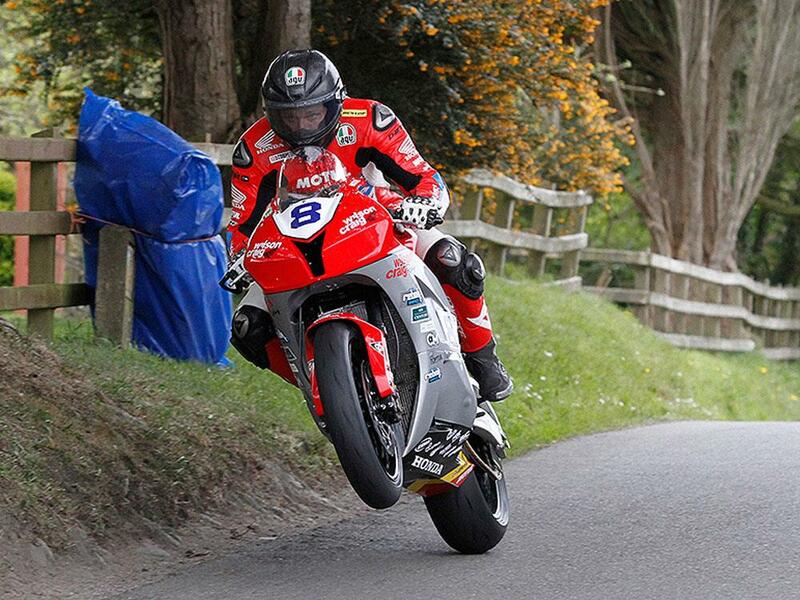 Guy Martin gets it crossed up at the Cookstown 100.